Kona Grill menu prices at the click of a mouse. Kona Grill offers high quality, freshly prepared dishes made from scratch served in a warm, inviting atmosphere. The diverse menu includes appetizers, salads, sandwiches, flatbreads, pasta and a selection of entree dishes featuring steak, chicken, and fish. Below is the latest Kona Grill menu with prices. Kona Grill is a great spot for guests following different lifestyle diets. Kona Grill offers special menus that include Gluten-Free, Vegan, or Vegetarian. Guests can go online and view the different menu choices. For guests that want to enjoy Kona Grill’s mouthwatering dishes at home, they can easily order their favorites online. Guests can visit the Online Ordering page to place an order and pick it up at their favorite location. Guests can also have their Kona Grill favorites catered at their next social gathering or corporate event. Kona Grill offers a special catering menu that guests can pick from. All details can be viewed online or by calling the closest Kona Grill. Reservations are strongly suggested especially if celebrating a special occasion or dining as a large group. Kona Grill makes it easy to reserve a table by using an online reservation service through their website. Guests can visit the official Kona Grill website, select a location and make a reservation. Guests can join the Kona Grill Konavore email service to stay informed on the latest news, special events and exclusive offers. Sign-up is quick and free. For those guests who decide to join, Kona Grill will reward them with a special offer which will be sent to their email inbox. Making responsible food choices while eating out is a snap at Kona Grill. Kona Grill offers a guide that details the nutritional values of all their menu items. The guide can be viewed online or downloaded from the official Kona Grill website. For guests with food allergies, check out the online menu of the location you plan to visit for indication of which allergens are located in each dish. With plans to continue to open additional restaurant locations, Kona Grill is always looking for new team members. Candidates that are passionate about quality food and providing outstanding service should visit the Kona Grill official website to learn more about the company, the philosophy and browse the list of current openings. The first Kona Grill opened in Scottsdale, Arizona in 1998 by Michael McDermott. The initial idea was to open a casual American restaurant with a broad range of menu choices to appeal to many guests. 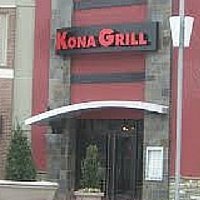 Currently, there are over 35 Kona Grill locations in the U.S. and Puerto Rico. Kona Grill became a publicly traded company in 2005 and is headquartered in Scottsdale, Arizona. Guests can follow Kona Grill on social media. For more information about Kona Grill happy hour, news or the latest happenings, visit their official website.